My review copy: I received a copy of this book through Edelweiss on the request of the author, in exchange for an honest review. “With him I felt part of something bigger. Just like with Kendall, he made me feel invincible, like things would work out for me no matter what. Once you've experienced that, it's kind of hard to give it up." “If you asked me whether I was the type of person who liked trying new things or preferred sticking with what was familiar, I would have told you I was the second girl. The if-it-ain't-broke-don't-fix-it girl. I also would have told you plays were lame. It suddenly occurs to me that I don't seem to know very much about...me. It's a weird feeling, like maybe a stranger is inhabiting my body. Or maybe a stranger was, and I kicked her out." “It's not like I can just change who I am or what I like. I can't just turn off feelings and quit giving a crap about stuff that's important to me. I lift my chin. I think of shallow more like only caring about owning fancy stuff and being beautiful. Most girls want to feel beautiful, but it's not my number one goal in life or anything." A Breakup. A Broken Heart. A Plan of Attack. What do you do when your boyfriend of two years, breaks up with you in the worst possible way and you just can't seem to understand why? 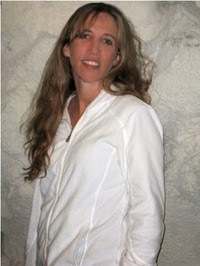 Lainey, the protagonist in this story is convinced it is all a BIG mistake and she is going to get him back. She enlists the help of her very best friend and decides to fight for Jason. She just can't be happy without him in her life. What soon ensues is Lainey and a tattooed gorgeous hunk Micah, fake dating to make Jason and his ex, jealous as well. Can Lainey win back Jason before her senior year starts? This book was LOL hilarious! I couldn't comprehend at first how a girl could want a guy that would just dump her like he didn't care at all. But obviously, the more I thought about it, the more I realized this goes on daily. Don't we always want the guy who treats us bad? We never even look at guys that are super sweet to us for the most part, especially in our high school years. We always want the one we can't have. Lainey's fight starts with her best friend making her read "The Art of War". At first she doesn't understand how this book can help her. I mean it was written hundreds of years ago and it's about war! Micah is the cook at her father's restaurant and they have never really been friends. Lainey always felt Micah was just way too different. He liked loud heavy metal music, he had tattoos and he never really paid her much attention. When Lainey realizes that Micah wants his girlfriend back as much as she wants Jason, they partner up to trick the two into coming back to them. They share a common goal but they are so different, can they really convince their ex's that they are dating? Paula Stokes hooks her reader into this story right from the beginning. Each chapter starts with a tip from "The Art of War". These quotes or phrases get the chapter started with the strength that Lainey needs to fight her battle. It was a great idea by the author to include these in every chapter. Lainey is a great character. She is flawed. She is lost. She could easily be one of us. Lainey's best friend, Bianca is the sweetest. She comes to Lainey's side immediately after the break up and doesn't judge, she just listens and she helps. Bianca is the perfect best friend. We should all be so lucky. This is a great story about learning how to find yourself while being on your own. It has a great lesson in it and is just and all around fun read. This book will make sense to anyone who has ever been a teenage girl. 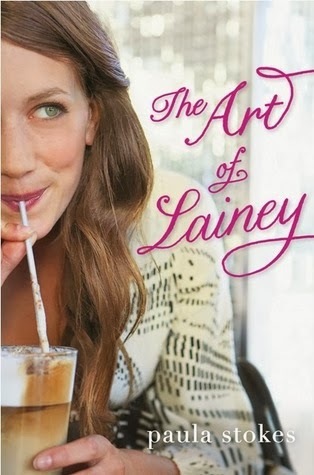 Every girl can easily see a piece of herself in Lainey, which makes you understand her struggles even more. There is so much more to this story that I can even convey here. You really need to read it in order to grasp how special it is. Another great romance, coming of age book that simply must be read.